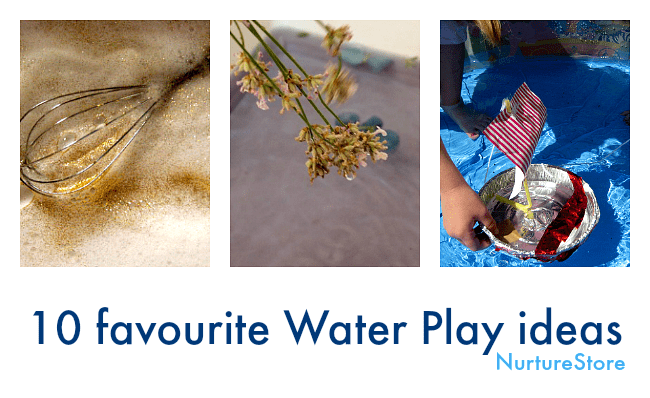 Here are ten simple water play ideas that you could try with your children. 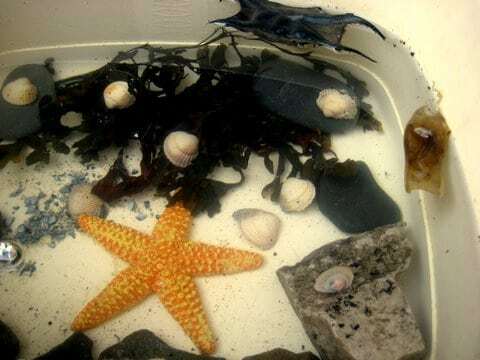 Water is one of the most simple sensory play materials, easy to set up, easy to clean up, and lots of fun for children to explore. 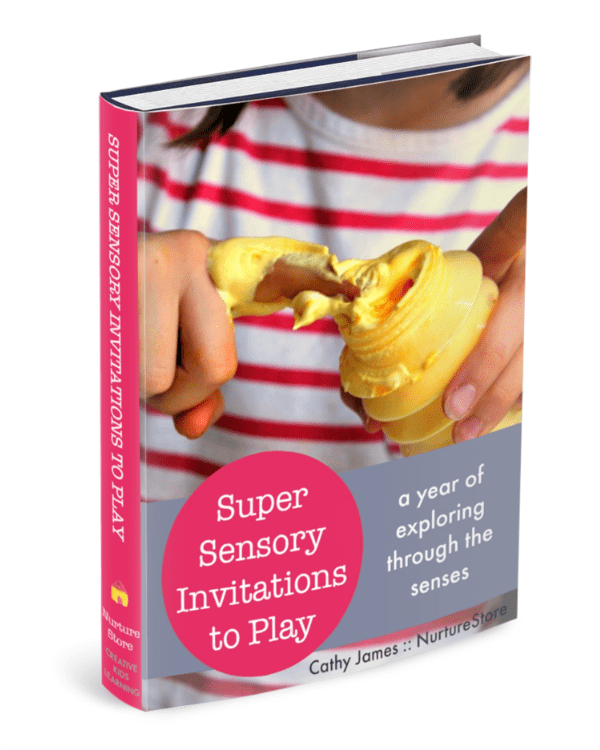 >>> Download my Super Sensory Invitations to Play here! 2. 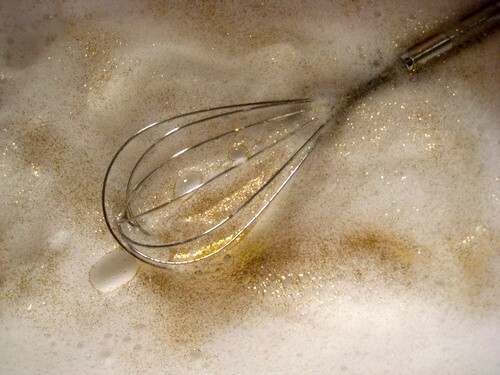 Add some washing up liquid, offer up a whisk, and see how many lovely bubbles you can mix up. 3. 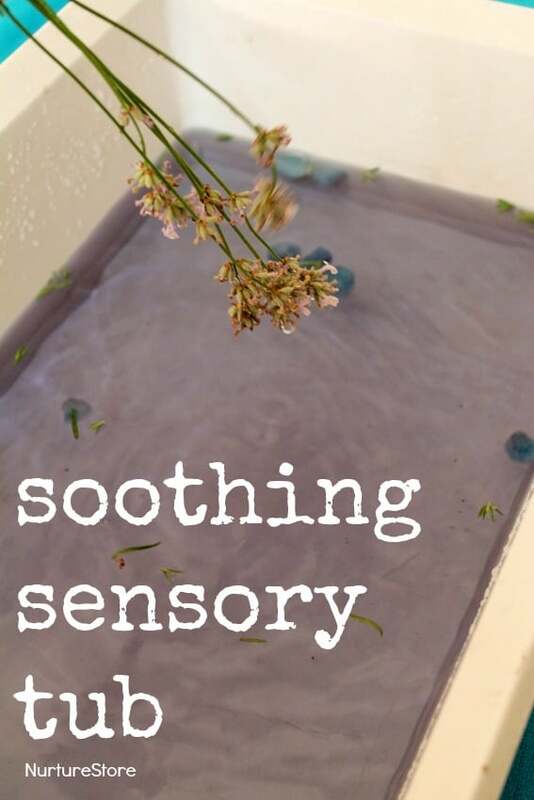 To add some extra sensory elements: drop in some food colouring to your water bucket or bath tub. Sprinkle in some spices such as cinnamon or ginger. Shake in a little glitter. Add some flowers. Use herbs. 4. 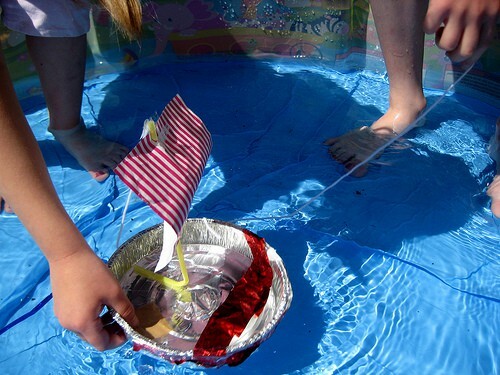 Make a little boat out of junk bits and pieces and go for a sail. 5. 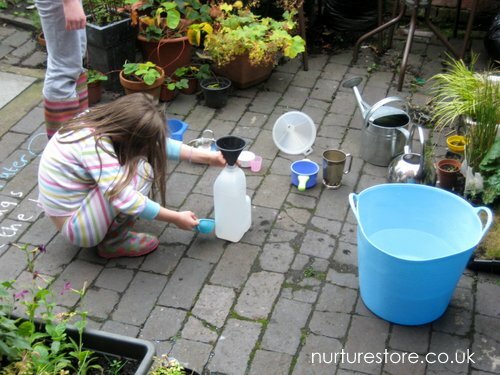 Offer some measuring jugs, funnels and containers and explore volume and dimension. 6. Add a teapot, cups and saucers for some role play afternoon tea. 9. Let your children do the washing up! 10. Set up a car wash for your all your toy vehicles. Fantastic Kate. I love how you added in the colour mixing element to the play. I’m excited to read these upcoming posts with play-based learning ideas. 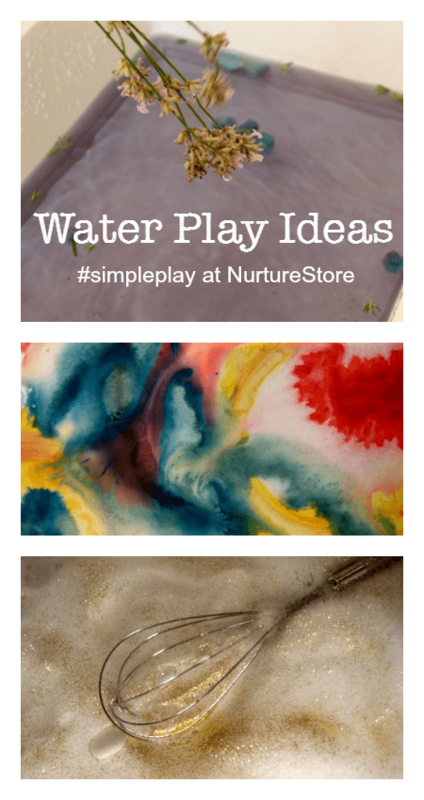 I read the post too late in the day to try water-play today, but I’ll give it a go tomorrow. 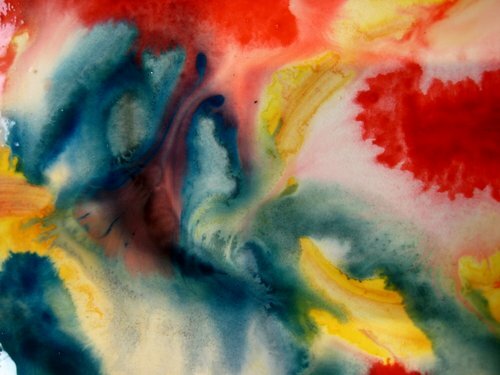 I’m interested in the wet on wet watercolors and the glitter bubbles. Heading over to visit you now Dallas! Thanks for the inspiration, although I hadn’t planned to follow the plan to the letter, my daughter (2y5m) has gone off bath time. Your blog inspired me to re vamp it, we had coloured ice cubes (ice bergs) and some different containers and spoons. I even went to the trouble to make it a calm environment with low lighting and a few candles! She (and I) loved it and was in for an hour and even then we had a few tears when it was time to get out!! Thanks again, without reading this I wouldn’t have considered anything new and we’d of had another dull/quick bath! Thanks for the inspiration, my daughter (2y5m) has gone off bath time. Thanks for the funtastic ideas! We tried whisking to create bubbles. My LO decided to use her hands as a whisk and had so much fun . Loved the idea of whisking up bubbles. Doofy loves them and likes “woodging” the bath to make more when he is in there. On the next nice day I will let him loose with the hand whisk! We did human bubbles. Using a massive hulla hoop.